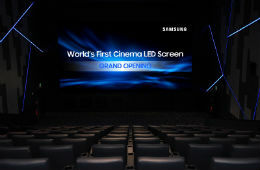 Samsung Electronics on Thursday achieved another landmark by installing its first ever commercial Cinema LED Screen at Lotte Cinema World Tower in Korea. This Cinema LED Screen offer a High Dynamic Range (HDR) LED theater display and in combination with JBL by Harman Speaker system, it gives Panoramic and vibrant viewing experience as well as true to life audio experiences. 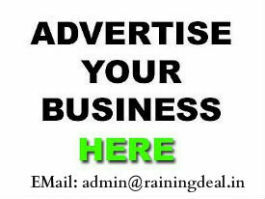 The huge Cinema LED Screen installed there is 33.8 feet wide in size. The display brings the visual power of HDR picture quality to the big screen, and enlivens content with both ultra-sharp 4K resolution (4,096 x 2,160) and peak brightness levels (146fL) nearly 10 times greater than that offered by standard projector technologies. Additionally, the Cinema LED Screen’s futuristic, distortion-free presentation leverages ultra-contrast and low-tone grayscale settings to showcase the brightest colors, deepest blacks and most pristine whites at a nearly infinite contrast ratio. To compete with the powerful video innovation inside the 'SUPER S' theater of Lotte Cinema, Samsung has combined its Cinema LED Screen with cutting edge sound advances from JBL by HARMAN. It includes powerful speakers bordering the screen, proprietary audio processing technology, and JBL’s Sculpted Surround system, producing an unparalleled sight and sound experience the way the content creators intended. To compete with the growing demand of cinema spaces, The display maintains its advanced presentation capabilities in a range of dark and ambient lighting conditions. This adaptability makes the Cinema LED Screen a ideal choice for venue's theater spaces used for corporate events, concerts as well as sports event and gaming competitions.